Highlights from the Western Homes Community stadium as Colchester faced Wigan in Sky Bet League Two. 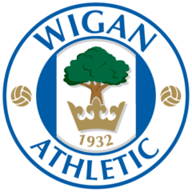 Will Grigg's stoppage-time equaliser earned promotion-chasing Wigan a 3-3 draw following a thriller at bottom club Colchester. Colchester goalkeeper Elliott Parish denied Grigg and Max Power early on, while at the other end Jussi Jaaskelainen foiled Elliot Lee and George Moncur. Yanic Wildschut gave Wigan took the lead nine minutes before the break after Grigg had pounced on Tom Eastman's error to set him up. Colchester equalised less than three minutes later through Alex Gilbey's magnificent 25-yard strike that flew into the top corner but Wigan went at the break ahead thanks to Ryan Colclough's clean finish following Wildschut's pass. However, Colchester levelled for a second time five minutes after the break through Lee, who curled a superb shot past Jaaskelainen from Gilbey's pass. 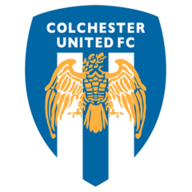 And Moncur gave Colchester the lead on the hour from the penalty spot after he had been fouled by Reece Wabara in the area. But with time running out, Wigan rescued a point thanks to Grigg's fine finish.